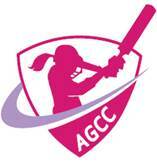 Mt Waverley will again be fielding teams in the 2018/2019 AGCC competition. Registrations are open and girls are invited to register for either Under 13 on Wednesday evening or Under 16s on Sunday mornings. For more information please see the All Girls Cricket information on the website.